Did you know that almost one third of all alarm activations go unnoticed, costing home and business owners in the UK millions of pounds every year. Our remote alarm and CCTV monitoring centre provides an affordable solution that gives you, your family and your staff the complete peace of mind that only comes from knowing that your alarm and/or CCTV system is constantly being monitored. You can rely on ADP Security’s fully trained monitoring team to watch your system and respond immediately, whether it’s a false alarm, a fault, or the real thing. Let ADP Security recommend the best combination of security technology and Security Officer response to protect your staff and property 24/7. For more information, call 01730 261510 or click to send us a message. 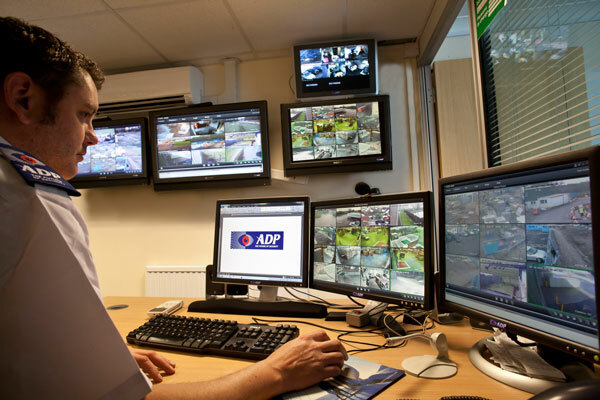 ADP Security’s Petersfield CCTV monitoring and alarm receiving centre was established in 1996 and is regularly updated to stay ahead of the latest technological advances. As an SIA and SSAIB certified CCTV and Alarm Technology supplier and a Manned Guarding firm, we are ideally placed to both monitor and respond to your system. When you need a rapid response, choose ADP Security. Our Security Officers patrol the South of England including Southampton, Fareham, Portsmouth, Basingstoke, Winchester, Guildford, Chichester, and Brighton, taking advantage of main road routes for speed and ease of reaction. For sites further afield, we offer a stand-alone remote 24/7 service, or we can provide reliable 24/7 monitoring support to your local security guarding provider. As well as remote CCTV security monitoring, we can give you remote access to your CCTV system via the internet. Our clients tell us that this CCTV remote access facility gives them additional peace of mind when they are off site or are responsible for multiple geographical locations.